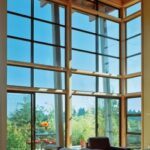 This expert article offers diagrams, a glossary, and a discussion of how windows are built, including the double-hung window. At first glance, a window looks like a pretty simple piece of equipment. It has a frame, glass, and some basic hardware. But, if you look a little closer, you’ll find there’s much more than first meets the eye. A window must be designed to allow in light and views and, in many cases, ventilation, yet seal out the weather. It must shed heavy rain without leaking and block powerful winds. And, if it’s an operable window, it must open and close easily. 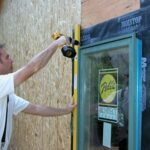 To handle these tasks effectively, the typical window has many parts and a surprisingly complex construction. A double-hung wood window, shown at right, has movable upper and lower sashes that slide in tracks in the side jambs. A variety of specially milled pieces go in to making up the jambs, frame, casing, and sashes. The window frame is the enclosure that holds the main parts of a window—called window sashes—in place. 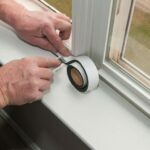 Window sashes may be fixed or operable. Obviously, in a fixed window, the sashes don’t move. Window frames and sashes are made from a variety of materials, including wood, aluminum, vinyl, steel, or wood-clad vinyl or aluminum. Each has its benefits and drawbacks. Metal windows are sold with nail-on flanges for easy installation. Some windows have real divided lites (also called “lights” or panes) held in place by muntins; others have snap-in wood grilles that imitate the look of divided lites. Though snap-in grilles don’t look as substantial as real muntins, windows with these are less expensive and easier to clean than real divided-lite windows because they’re a single sheet of glass. A nail-on metal window, shown at left, has many of the same parts and pieces as a wood window, except that only some of them are formed as single parts. The flange around the perimeter is made to nail on to the exterior wall sheathing for easy mounting during construction. For unbiased help buying windows, see the Windows Buying Guide.